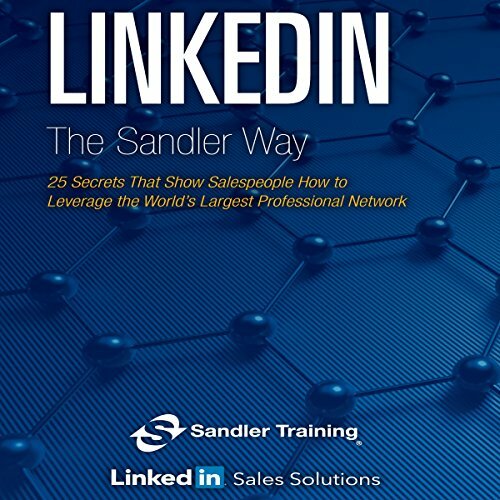 Showing results by author "Sandler Systems Inc"
LinkedIn the Sandler Way, the first audiobook release from Sandler Training and LinkedIn, offers powerful, cutting-edge best practices for effective social selling with LinkedIn. Its 25 discussions uncover big ideas for prospecting and selling online - ideas that typically haven't yet become part of a sales team's daily culture. Within just a few days, you can learn, adopt, and model these LinkedIn best practices so that they become consistent behaviors for everyone in your organization who sells for a living.